Our workplace is a place where we spend most of our time. Any organization where the rights of the employee are being ensured according to the law, it will not only create a happy place for the employees but also, it’s beneficial for the growth and productivity of the business. Whitby labor law Paralegals have worked on hundreds and hundreds of labor law cases and our paralegals have acquired the expertise to work on any employment law case, whether you are an employee and have been wrongly terminated or an organization, dealing with an employee who might have violated the employment contract. Our in-depth legal knowledge and the experience we have acquired in the past years has enabled us to work on any case. There is a grave need of employment law for employees at their workplace, and to be monitored by the unjust actions of their employers. 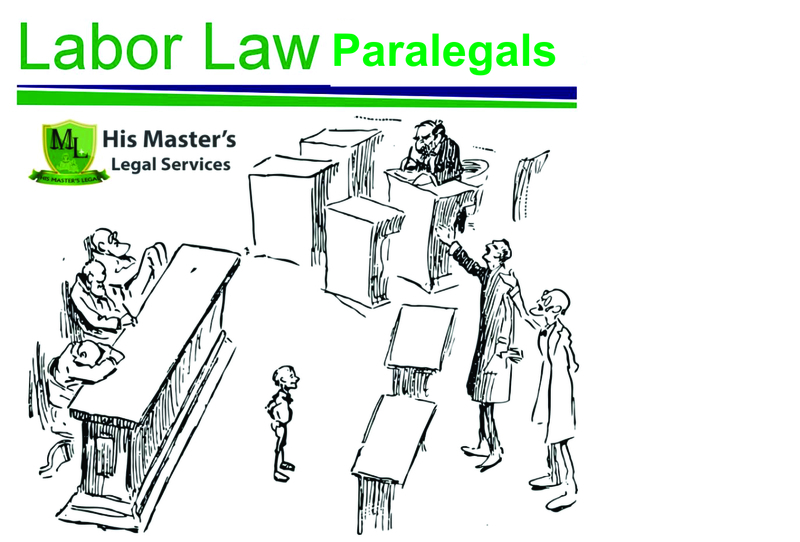 Our experienced paralegals at Masters legal or Whitby labor law Paralegals have helped several numbers of employees whom would have felt powerless against their employers, and due to the certain situation they were unable to take any action against their employers. At Masters Legal our aim is to protect the rights of employees, taking action against employers in case the right of the employees has not been taken care of and ensuring justice in the workplace. Our labor law Paralegals can help you negotiate executive compensation agreements, assignments of intellectual property rights and severance packages as per the case, and if you deserve the certain type of compensation, our team will make sure to get the best deal of compensation for the employee as per the case. Apart from employees labor law, we do provide our legal services to employers. Our team of legal experts at Masters Legal makes sure to protect organizations and employers from the lawsuit or legal responsibility related to employee claims. Our Paralegals have got the expertise to handle any case related to employee relations and other matters. It is very common to have employee related legal issues, and seeking professional and legal help is the best way before you take any action. Our Paralegals not only provide their legal services to solve and help the employee cases but also help to develop employee policies and handbooks, developing hiring or severance agreements and other related documents which you might need and you want a legal and professional help in creating them. With the help of the Whitby labor law Paralegals, the employer will be able to set the standards and code of conduct according to the law. Your employees will also have a feeling of being secured, safe and satisfied making them more productive for your company. We can tell you without a doubt that labor law present challenges for both the employers and the employees but in the end, it is the betterment for both parties. Contact Masters Legal today and we will help and guide you to proceed according to the legal law in case of a lawsuit or another related situation.